It is fairly easy to tell when your muffler needs replacing. Your vehicle will make loud noises, and you will hear a rattling noise coming from the undercarriage of your car. 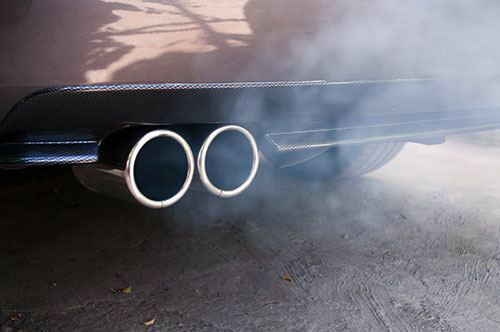 This most likely means your car’s mufflers and exhaust systems are in need of service. Fortunately, Jack’s Auto Service can help with muffler replacement and more. Our auto repair facility is located in Grand Rapids. Our family has been providing auto repair and service to generations of clients throughout this area, and we have loved every minute of it. Our team is passionate about the service they provide. Each service and repair of your muffler and exhaust system is performed quickly and efficiently. We stand behind our work 100%, and we will do everything in our power to remove any problems. If your personal automobile or fleet is in need of muffler replacement, preventive maintenance or repair, we invite you to Jack’s Auto Service. We are conveniently located in Grand Rapids. You can trust our friendly and experienced staff to get your car, truck, minivan or SUV driving its best!